Welcome to Our online store! 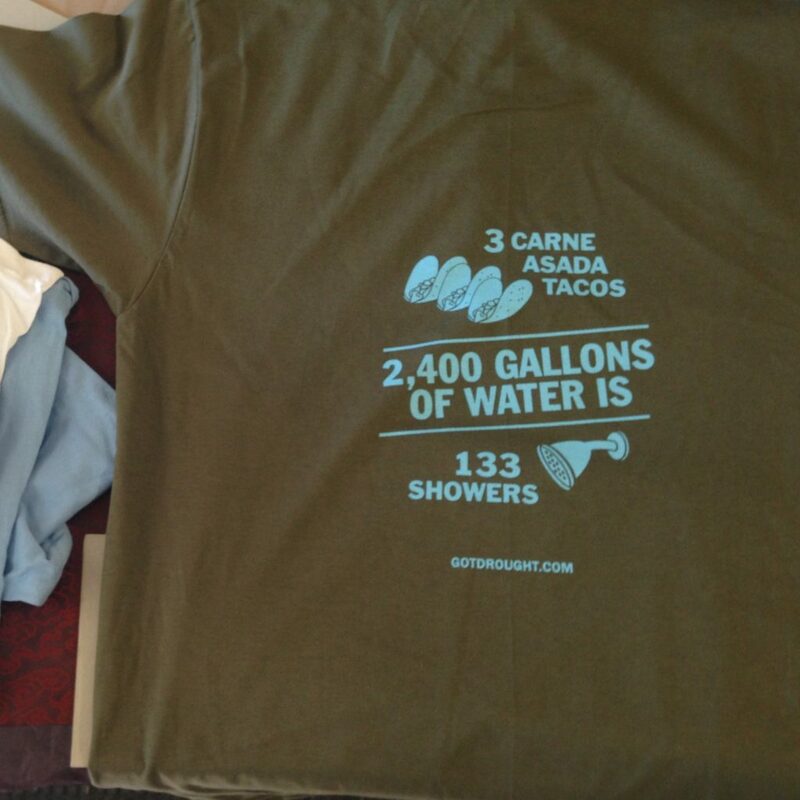 Even though we are a nonprofit entity, we still rely on selling our merch to make up for the personal costs involved in bringing Got Drought? to the public. We appreciate your support! Got Drought? Pins: $3 each plus shipping and handling ($2). Got Drought? 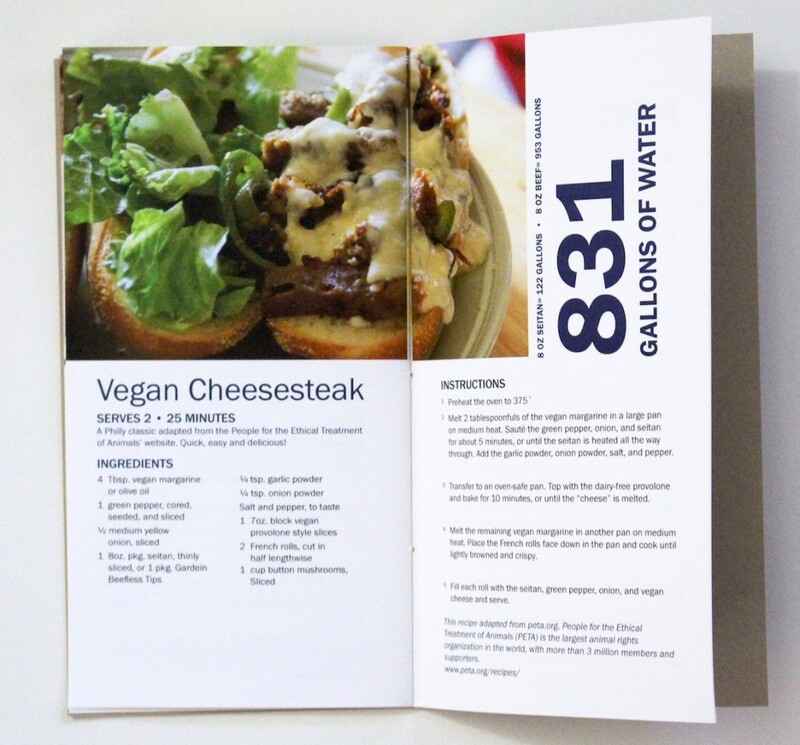 Recipe Book (100% Recycled Paper): $20 plus shipping and handling ($5). 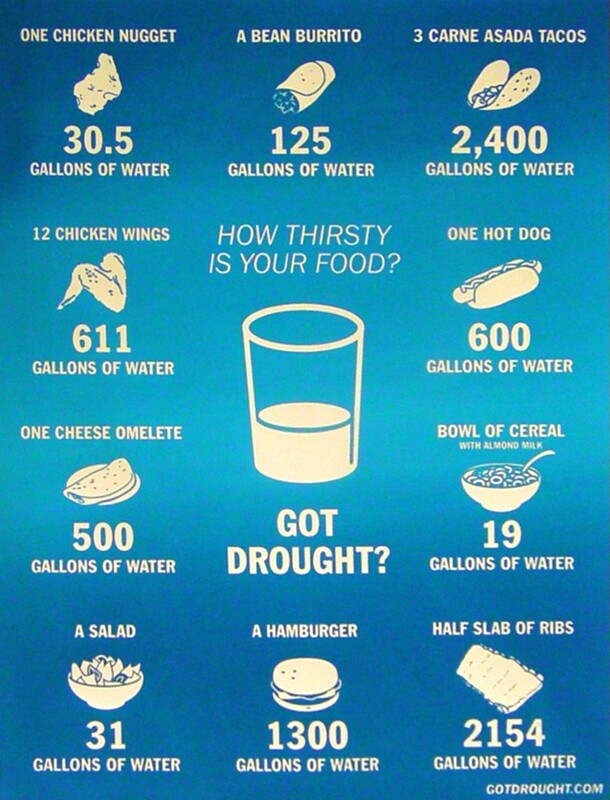 How Thirsty Is Your Food? Poster (16″ x 20″ on Recycled Paper): $40 plus shipping and handling ($10). 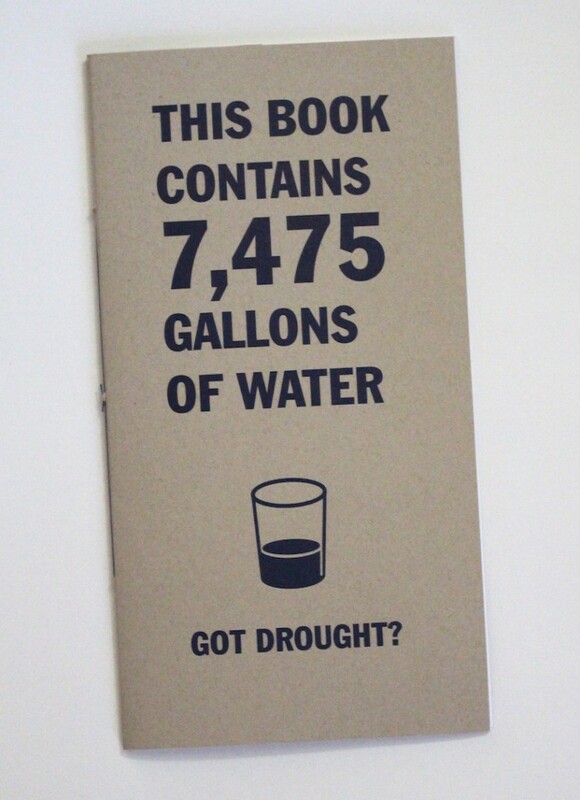 Got Drought? Poster (14″ x 26″ on Recycled Paper): $40 plus shipping and handling ($10). 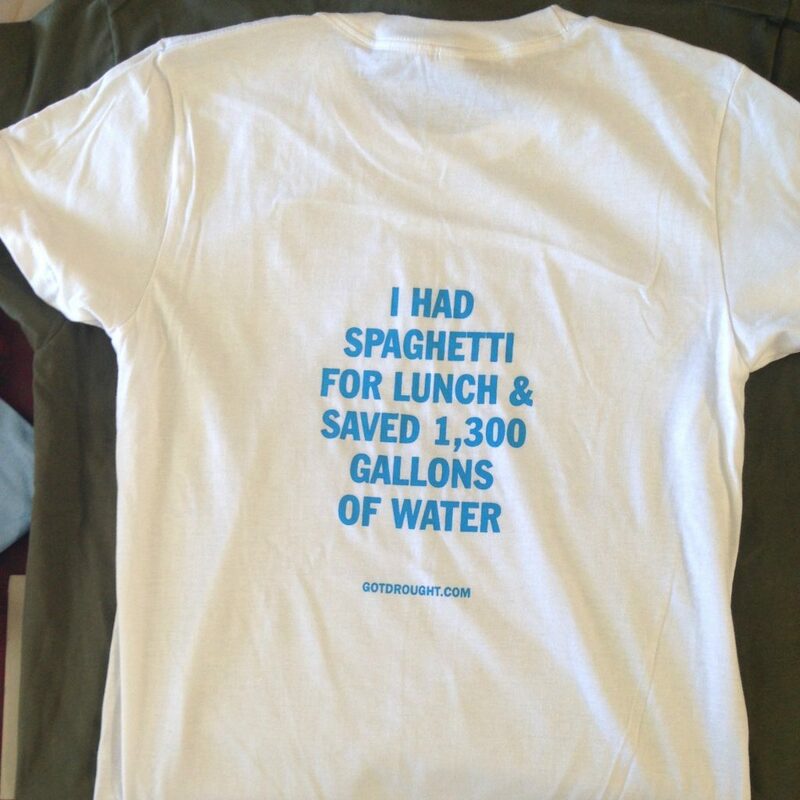 Got Drought? T-Shirts: $15 plus shipping and handling ($5). Colors: Silver, Baby Blue, White, Black, Brown, Green, and Gray. 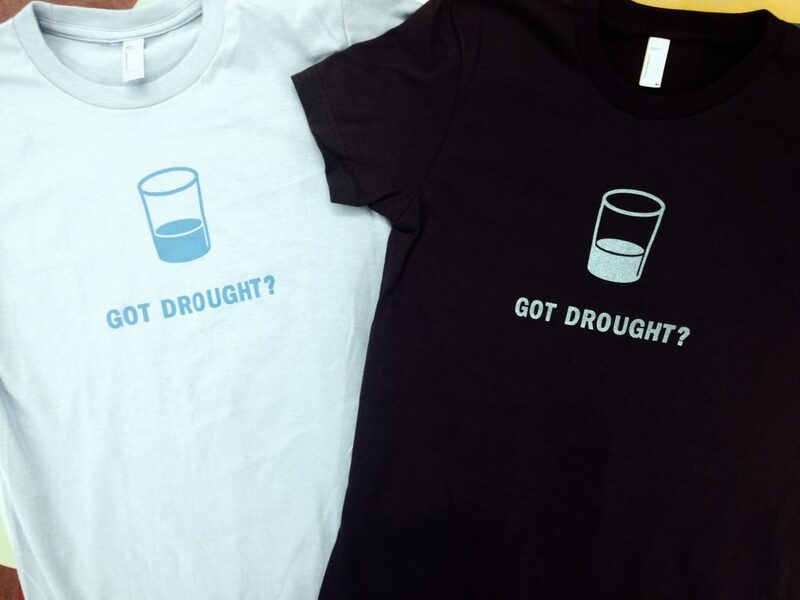 Got Drought? Crack and Peel Sticker (Eco-friendly): $10 plus shipping and handling ($2).